This is a re-post of a blog I wrote several years ago after seeing Garth Brooks in concert. It seems totally appropriate to revisit here as Garth is performing live at Notre Dame Stadium on CBS. Enjoy. My awesome wife (yes my wife is the best) bought me tickets to go see Garth Brooks in concert for Christmas. So I was lucky enough to be among the thousands of fans to see him in Pittsburgh recently. The show was truly outstanding. 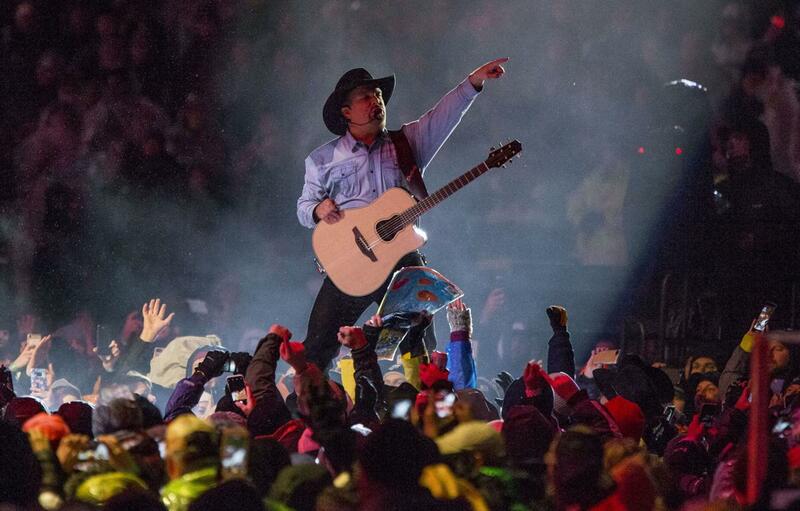 Whether you are a fan of his music or not, Garth puts on a show to remember. What an entertainer! But it got me thinking, “What can I take away from this? What can I learn?” So here is what I came up with…5 Lessons to Learn from a Garth Brooks Concert! The Power of the Wink: Gary Vaynerchuk actually talks about this concept. Garth understands that there is a huge amount of power in making each person in the stadium feel special. He runs around the stage so he spends time really singing and engaging with each section. He waves at individuals, slaps hands, and spends real moments that will create raging fans for life. Lesson: Each customer matters…do you make that feel special? Do More: The show was amazing. At the end of the event, I was tired! We had gone on a journey and stood and sang along. We had laughed and cried and screamed. And all I could think was, “He is going to do this again…tonight!” Garth scheduled two shows at 6:30pm and 10:30pm. Now that is ambitious. Lesson: Want to grow your business? Do more than most people think is reasonable. Bring The Energy: The reason I was so amazed that he was going to do this twice was, the level of energy he brought to the show was off the charts! He ran around and sang and screamed and (it seemed) had a great time. The audience responded to his passion by screaming louder (which I am sure fed his energy again). Lesson: Your energy can really be contagious…is yours worth catching? Play The Favorites: Garth actually talked about this during the show. He said when you come to see your favorite entertainer, it’s okay to hear the “new stuff.” But you bought the ticket to hear the old favorites. He’s right. The same is true for your customers. If you won them over with fantastic service, don’t change that model if you grow. Do what you do best! Lesson: Don’t lose sight of what makes you special. Let Your Team Shine: Around the middle of the show, Garth brought out his wife Trisha Yearwood to the stage. She is a talented entertainer in her own right and she did several great tunes from her career. In addition, both Trisha and Garth took the backseat as they welcomed one of their back-up singers to to front of the stage. She had written one of the songs Trisha was performing so they let her sing lead (and she was awesome). It was a cool moment for her and it made you like Garth and Trisha even more. Lesson: Don’t be afraid to let your team members take the spotlight sometimes! It makes you look good. What a show! If you get the chance to see it, I recommend it. And if you do (or if you have already seen him) let me know what lessons I missed! Remember…Sail Your Vessel! As always, we want to make sure we are providing you value each and every day. Make sure you become our VIP. Sign up for our VIP newsletter here.